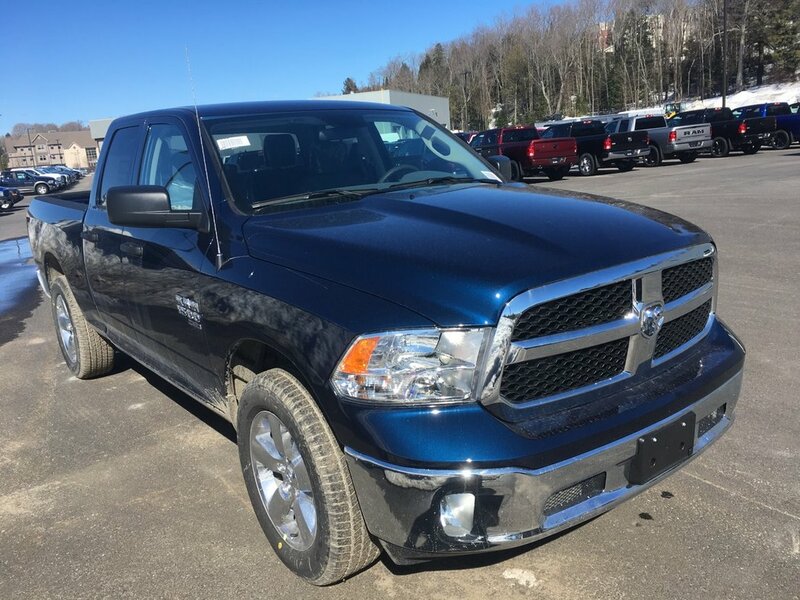 With plush accommodations and off-road capability, our 2019 RAM 1500 Classic ST Quad Cab 4X4 is brought to you in Patriot Blue Pearl. Motivated by a Pentastar 3.6 Litre V6 that offers 305hp while connected to an innovative 8 Speed Automatic transmission for easy passing power. Our Four Wheel Drive Truck serves up a comfortable ride with plenty of power for all of your needs while getting you near 9.6 L/100km on the highway while showing off aggressive body lines, black handles, and attractive wheels. Inside our ST, appreciate the comfortable seating, Uconnect multimedia centre, hands-free communication with Bluetooth streaming audio, easy to read gauges, and more. Our RAM truck has undergone extensive safety testing and is well-equipped with dynamic crumple zones, side-impact door beams, and an advanced airbag system. This ST is a turn-key workhorse and has you covered with the ideal blend of muscle, capability, security, and comfort! Print this page and call us Now... We Know You Will Enjoy Your Test Drive Towards Ownership!